All clear to board! 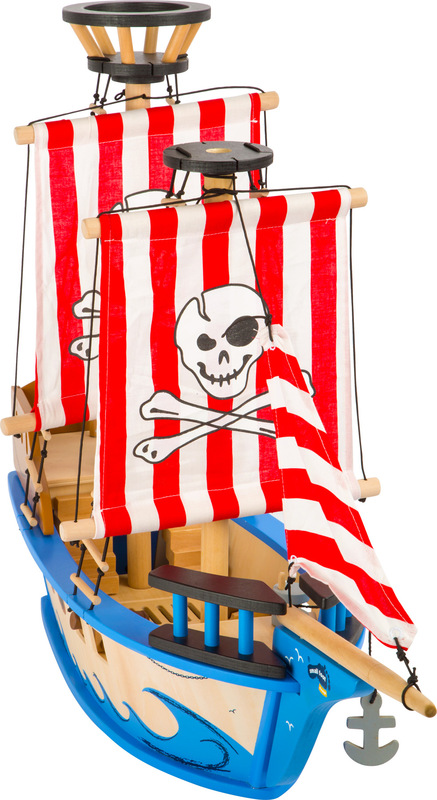 The "Jack" pirate ship impresses customers at first glance with its colourfully striped sails. The skulls unmistakably show who's sailing here. 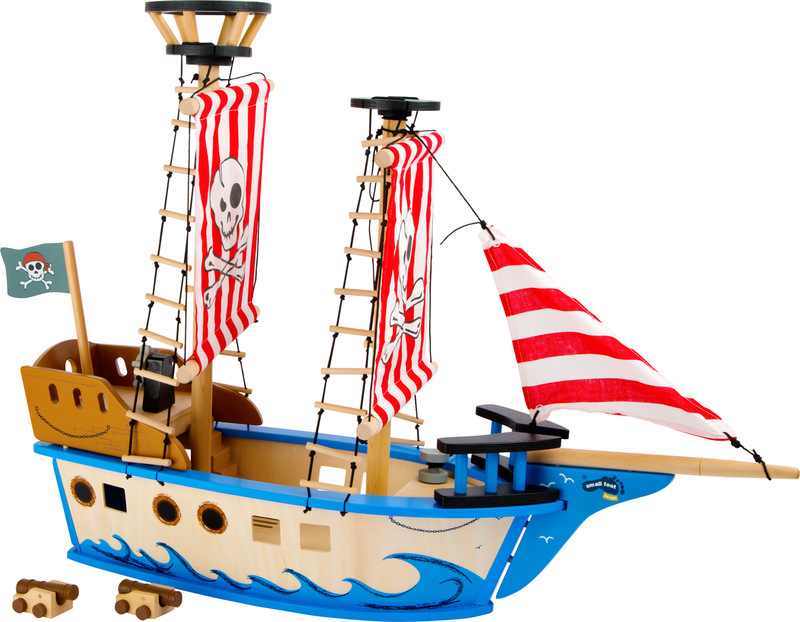 The robust hull and the numerous detailed add-on parts are made of lacquered and natural wood. 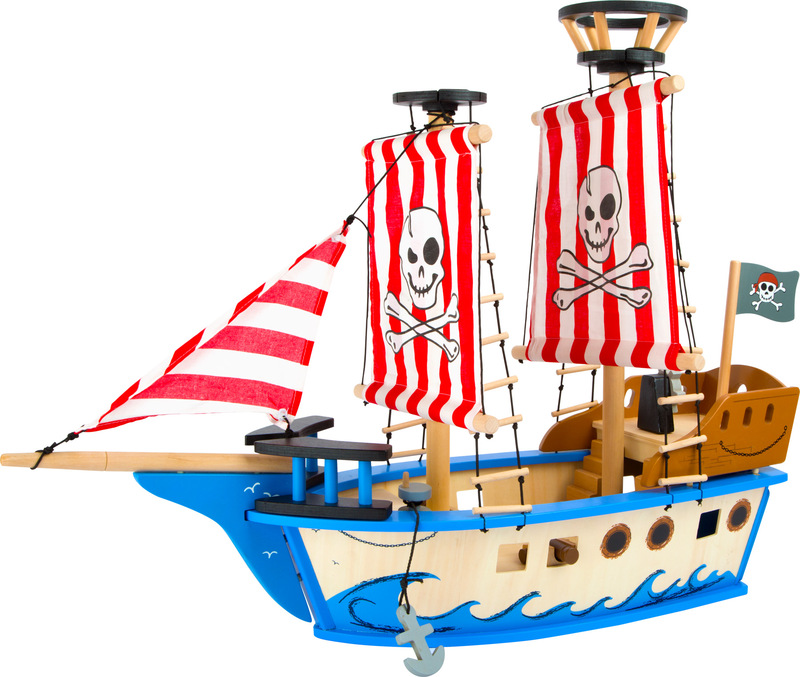 There's everything here that a pirate needs: they can climb up the rigging to the crow's nest - a small stairway leads up to the quarterdeck where the movable steering wheel and obligatory pirate's flag can be found. And of course, there are the cannons which can be pushed precisely through the holes and a real capstan. 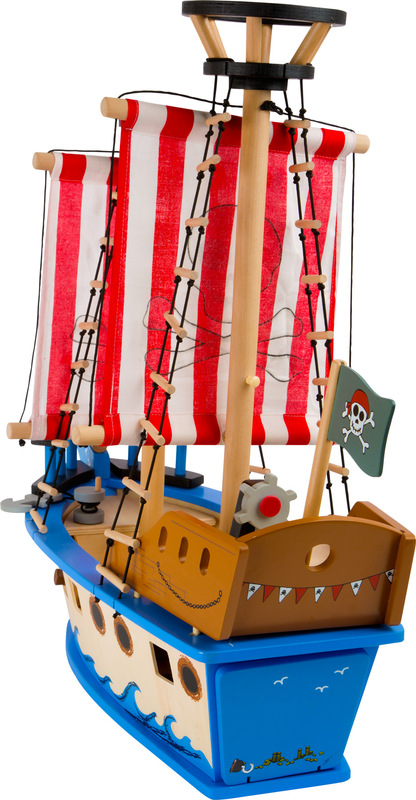 The "Jack" pirate ship has simply everything. 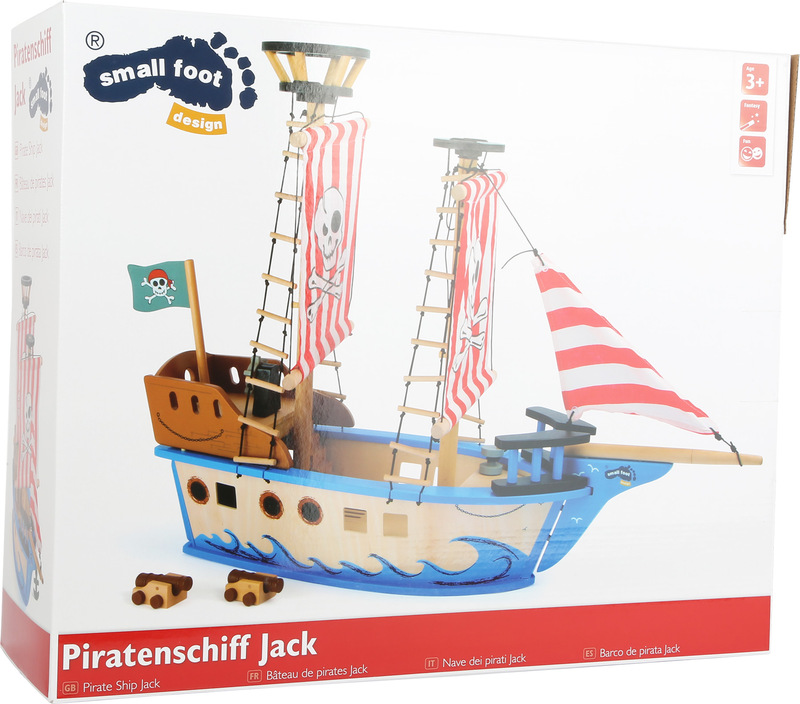 Aye aye, Captain, let's ship off to Treasure Island!